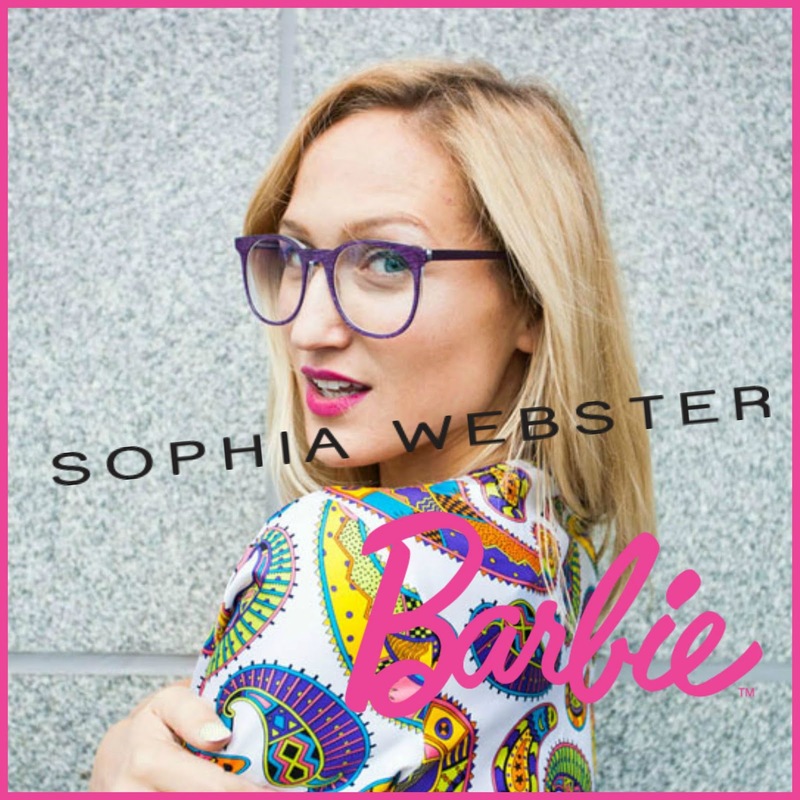 Continuing the revival trend, Sophia Webster has teamed up with Barbie to create a capsule range - if you don't like pink look away now as this collection is essentially a celebration of all things pink! Taking a fashion icon and bringing her bang up to date, Sophia Webster's Barbie collection has something for both the traditional and 21st century barbie girl. A perfect brand fit as Webster is known for quirky and her love of pink, all the styles in this collection are unique and styles that as usual are like wearable pieces of art. All to coincide with the new fashionista range that Mattel are launching (figurines with eight different skin tones, 14 varying facial shapes, 18 eye colours, 22 hair styles and 23 hair tones, very multi cultural) and part of the collection the Barbie by Sophia Webster doll priced at £120, will come with colourful hi-tops and flatform sandals alongside a couple of pairs of heels. I am excited to see what she looks like when she goes on sale mid September. My favourites have to be the signature Chiara butterfly winged heel and the flat jelly sandals however the Leah bow heel is also beautiful and would make an amazing wedding shoe (on my consideration list for my shoes for my best friends wedding). My least favourites are the high-top and sneaker styles, but this is because i am a heels girl through and through but both these styles are great as Barbie is known for tottering around in heels and this changes the norm and for the first time in history, Barbie has the option of wearing flat shoes - and designer ones at that. In true Webster style not only can mum channel her inner barbie but so can her daughter. I have always loved the mini range, the idea of mum and daughter wearing the same shoes and these are again so cute and the perfect pair of mini me's, but sadly still a little expensive £80 - £150 but gorgeous. Sophia Webster has become my favourite shoe designer, something about her work inspires me and this new collection is just as amazing as her usual collections - speaking of which check back later in September for my round up of the London Fashion Week Sophia Webster presentation. Which style sums up your inner Barbie's best? ?